As temperatures and wind chills drop well below zero, proper pet care becomes even more crucial. As temperatures and wind chills drop well below zero, proper pet care becomes even more crucial. Animal control officer Misty Binau checks on pets to make sure they have what they need. "They need to have an adequate shelter, meaning it's got walls, roof, and a floor, fresh, unfrozen water, and access to food at least once a day," she says. The shelter needs to have bedding inside of it, preferably straw or hay. "Blankets are great, but they tend to hold more moisture, so they can get frozen which then creates an even colder environment for the animal so straw is really the best bet," Binau explains. Binau checked on this dog earlier today... and found it did have proper shelter and unfrozen water. She says a heated water bowl is the best way to keep the water from freezing. "It's a bowl that has a cord that needs to be plugged in and they need to have water in it. So sometimes that dog may drink up the water and they need to refill it. So a heated water bowl is the only way to keep that water from freezing," she adds. Another concerned neighbor reports seeing a dog on a balcony for more than an hour. The dog had already been let inside by the time Binau arrived. She says this is the best case scenario and didn't issue any tickets and just asked the owner to be more mindful next time. If someone is given a ticket, they will have to go to court, and a judge will decide on the penalty. 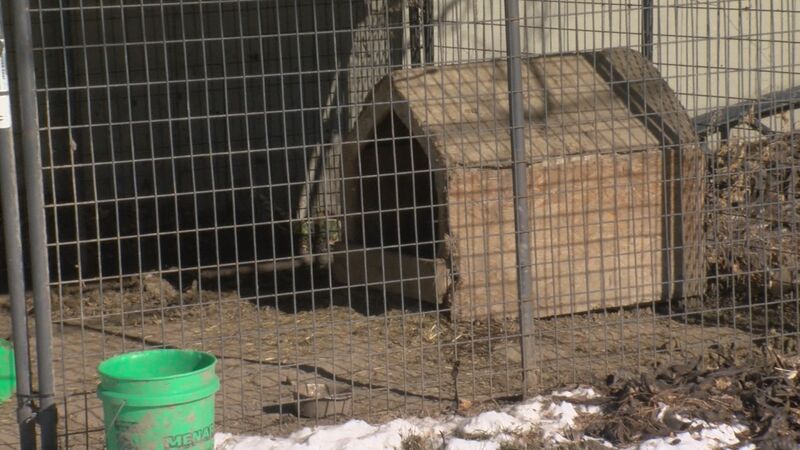 Binau says if you see an animal you are worried about don't hesitate to call animal control at 402-444-7800, extension 1. And for those who take care of stray cats and feral cat colonies, Felius Cat Cafe will provide free winter cat shelters if you fill out an application on their Facebook page .